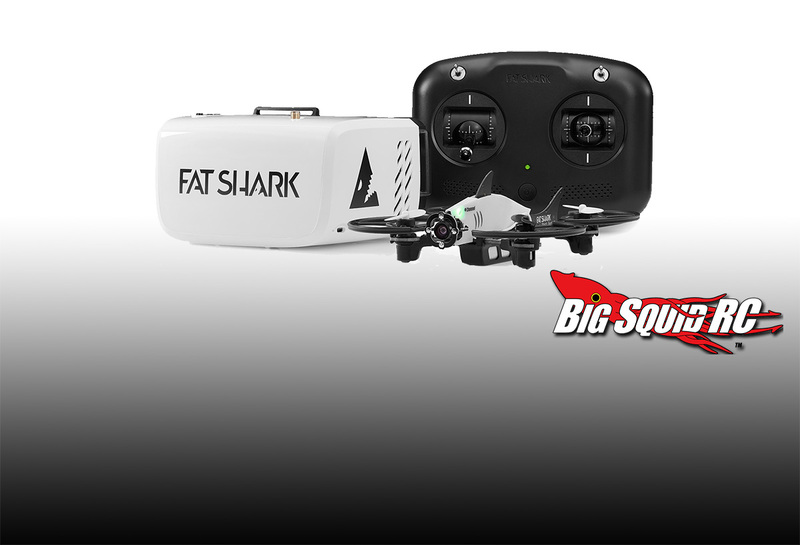 Why the FatShark 101 is one of the Best Products for Getting Started in FPV and Drone Racing « Big Squid RC – RC Car and Truck News, Reviews, Videos, and More! Before we get into the nuts and bolts of this product, I want to give a little bit of background on why I strongly believe in it by telling a story of how I got to know the people that put it together. Entry into FPV (First Person View) is daunting. Three years ago, when I started my journey, it was next to impossible to find the information required and parts necessary to chase my dreams of flight. That being said, everything has changed in three years since, and it’s now easier than ever to get a running start with FPV. The FatShark 101 Training kit takes all the steps that were complicated about learning drones, condenses them into one package, and gives you the tools necessary to be successful. Among the countless products, YouTube channels, and stores that have popped up supporting the drone racing and freestyle industry, many products have come along that have had the intent of bringing new people into the FPV hobby. However, not one of these products placed their emphasis straight on making it easy for the user to get into the air. I would argue that, even today, the biggest issue that faces aspiring FPV pilots is the high barrier to entry. Traditionally, building drones, required knowing how to solder, dealing with minor programming problems, and having a basic understanding of electronics; all of these issues kept pilots from getting off the ground. Prior to the launch of the 101 training kit, Fat Shark invited me out to San Francisco to participate in a special launch event to film a commercial for their new product. During and around filming, I finally got a chance to get my hands on the product, and I found the experience to be quite compelling. We opened the box, plugged in the batteries, and away we went. Myself and three other pro pilots from around the San Francisco area were racing around the inside of a warehouse within seconds of opening the box. THIS is why the FatShark 101 is the best way to start learning — it’s a no-nonsense, out of the box, ready to rock intro to FPV. Drones are complicated. Really complicated. There are literally and metaphorically many moving parts and knowing how each works is crucial to flying. However, we need to practice! Flying is hard — there’s no question. When a pilot has to spend hours configuring, programming, soldering, charging, and connecting, it can be frustrating to the point of giving up. Rather than being confronted with these myriad challenges, a tool like the Fat Shark 101 is extremely powerful for the learning enthusiast. Everything is pre-configured for you – you don’t need to learn how to assemble the drone, set up the channels, bind the receiver, etc. Even the props come pre-installed on the drone. Beyond developing a solid product, Fat Shark also supplies all of the material. Working with some of the top engineers and UX designers within the RC Car industry, they developed material and processes for teaching early-stage FPV flight, which can be a daunting task when first set upon. Another key aspect of the FS101 drone is that it has the long-term in mind. It would be unfortunate to have all of this gear: goggles, radio, chargers, etc invested in just one platform, which is one of the things that many other RTF (ready to fly) products on the market suffer from: much is proprietary to the machine itself. Instead, Fat Shark started with the goal in mind: it should build a product that keeps the long-term at the forefront. The included Recon goggles can be used with any 5.8ghz video transmitter on the market including all larger racing drones, ImmersionRC products, or even custom builds (like the ones I use to race). The same is true of the radio. It uses the FlySky protocol, which, while it isn’t the most popular radio protocol on the market, its low latency and widespread support enable you to bind it directly to any model on the market with a series of low-cost receivers. While these goggles and radio aren’t necessarily what you’ll be using for years to come, it will allow you to take those first, second, and third steps. 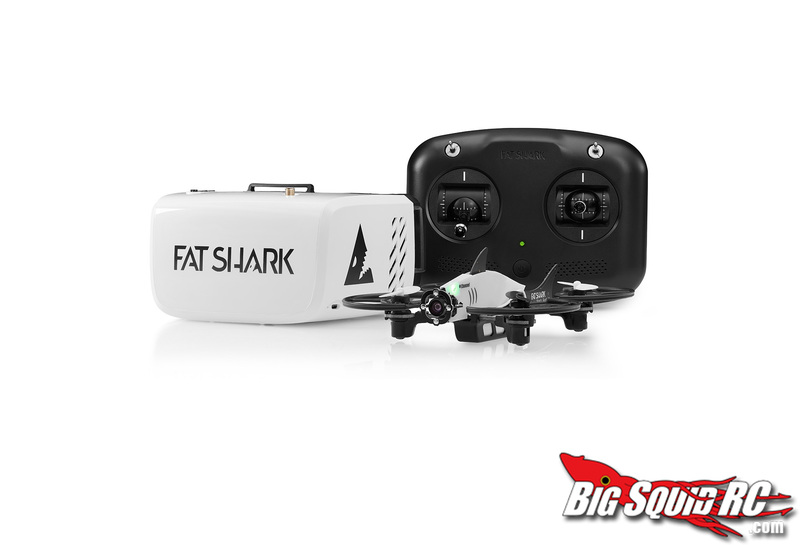 Everything about the Fat Shark 101 training package will serve as awesome tools as you begin your FPV journey. Another awesome step for learning to FPV is that this product comes with a full-fledged simulator, which includes instructional content for training. The DRL (Drone Racing League) Simulator has been worked on by some of the best drone racing pilots in the world, and much work has gone into developing the ultimate training regimen for new pilots. It teaches throttle management, FPV control, third person control, and all the terms and keywords and skills you need to know to get flying successfully. 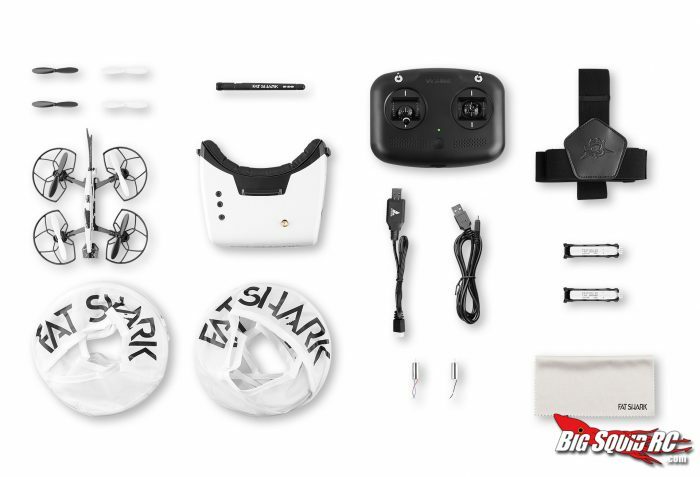 In addition to the included key to use the DRL Simulator, the radio that comes with the Fat Shark 101 kit can be plugged into your computer via USB and be used to control the sim, allowing you to practice flying with the same hardware that you’ll use on your own drones. In addition, when you are plugged in to the computer you won’t be using up the battery power on your radio. 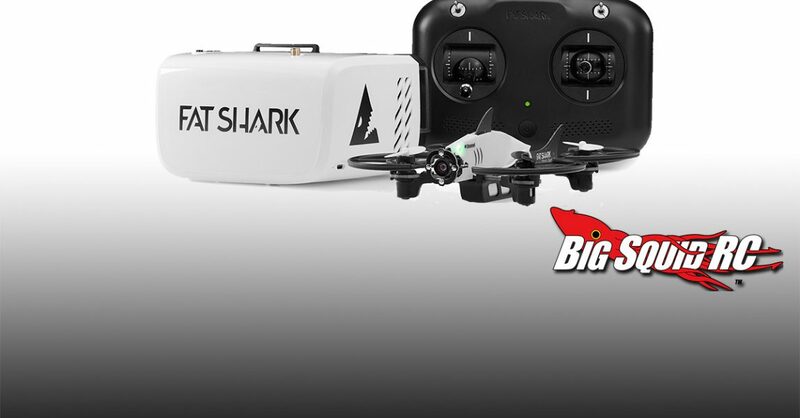 While the Fat Shark 101 isn’t the kit that you’ll be flying for years to come, this product serves a very important role in the FPV industry today for those that are just getting started. By simplifying the getting started process, and cutting the crap on getting in the air, the FatShark 101 jumps to the top of my recommendations on products to buy to get started in FPV. Paul “NURK” Nurkkala is a professional drone racer. In addition appearing on ESPN and sports channels worldwide, he has placed runner up in the nation and runner up in the world for drone racing. In addition to a racing career around the world, Paul has a passion for sharing the story of FPV with his YouTube channel and Instagram. To stay up to date with his journey and learn more about FPV, please subscribe and follow him on YouTube, Facebook, and Instagram. Paul will be contributing more in the near future to Big Squid RC under the new FPV with Nurk Category.